Rian Johnson just became one of my favourite directors, and all it took was one film. 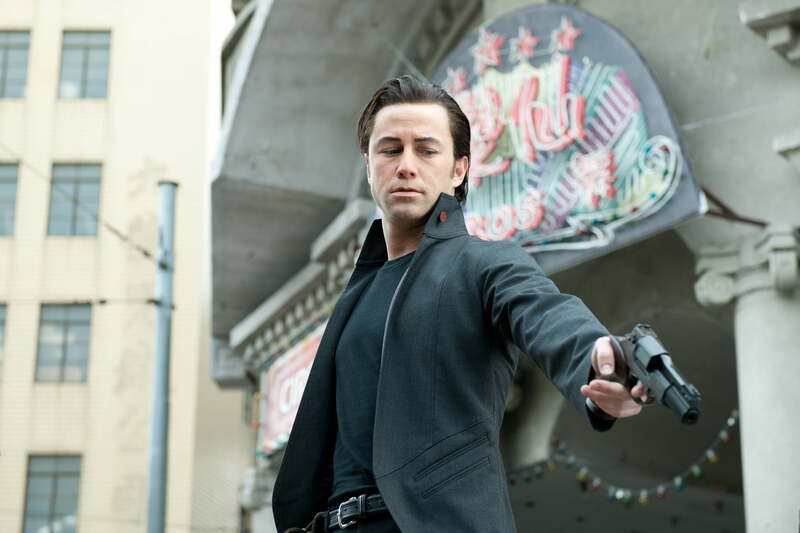 Johnson’s two previous films certainly impressed me, but Looper is a step forward for the writer and director. It’s a film that draws you in with the characters on an intimate level as hell starts to break loose, and despite the topic, it’s also a film that takes the story to heart. 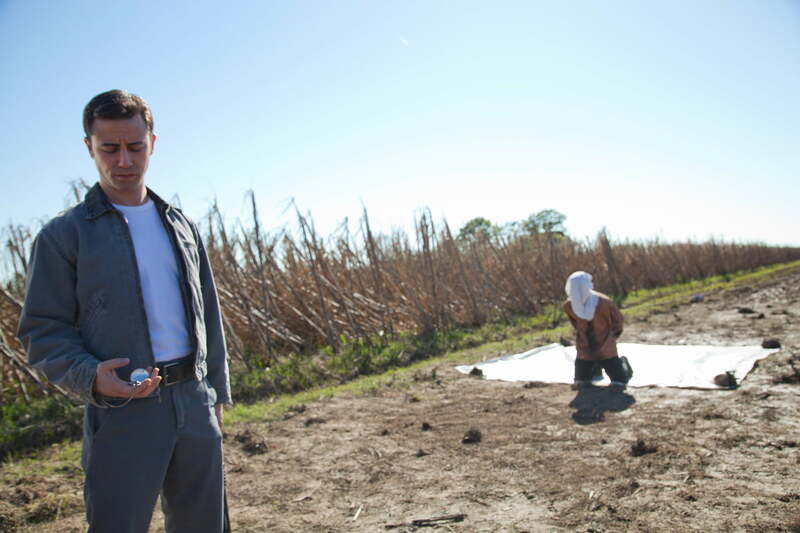 Joseph Gordon-Levitt stars as the young Joe, a “Looper” who takes out targets sent to him from the future. Every day he goes to the same spot, and at the same time each day a crime organization from the future sends him a bound target that he has to kill, and then he has to dispose of the body. Young Joe’s present day, which in 2047, is a dark time when society has come undone, and the gang that controls the Loopers also controls the police. As Joe puts it early on, time travel hasn’t been invented yet, but it has in his future, and that’s what makes his job possible. Thanks to that grim job, Joe is paid enough to party and keep a steady stream of drugs in his system, but there is a catch. At some point, his future employers will “close the loop”, sending Joe’s older self back to be killed by his younger self with a final payment in gold to effectively pay him off until he’s ultimately killed in 30 years. When a lot of other Loopers start having their loops closed, Joe gets wise though, and when his future self, played by Bruce Willis, appears unbound and unmasked, he hesitates, giving Old Joe a chance to escape on a mission to save his own future. The basic premise of Looper is really about personal choices, and the whole idea, “if only I could give my younger self advice, I would definitely do things differently.” Johnson’s story goes beyond that though, and makes the time travel story the vehicle for the story, rather than the story itself, which is what happens in a lot of films. Looper is so cleverly wrought, the best part is that this feels like a drama, dealing with the ideas of mistakes, regret, wasted youth, and maybe most of all, the power of family. Johnson has crafted a wickedly original film, with a perfect team to realize his vision. The score by composer Nathan Johnson is profoundly ambient and atmospheric, and thanks to the “found sound” style of audio that was used, the compositions sound almost like nothing I have heard before. The editing by Bob Ducsay, as well as the cinematography by Steve Yedlin, are nothing short of stunning. Finally, while I enjoyed Willis and Gordon-Levitt in this role, which requires them to take certain cues from each other, my favourite performances in the film are Emily Blunt as Sara, and young Pierce Gagnon as Cid. Blunt is a caring, frightened, and powerful figure, and her relationship with Gagnon is palpable. Gagnon on the other hand is nothing short of miraculous, with a performance that I would call not only note-worthy, but perhaps even Oscar-worthy. Everything adds up to one of my favorite film experiences of the year, and one of my new favorite time travel movies.